MAPFRE operates in 45 countries. How many times have you seen an office, a vehicle (tow truck, van, etc.) or an advertising poster in the street? If at this time you come across the brand in any city outside Spain, just take a creative photo and share it on the social networks and you may win a travel prize. Here’s how to go about it. The Renowned Spanish Brands Forum (in which MAPFRE takes part) has launched a campaign entitled “Spanish brands throughout the world” with the aim of highlighting the international projection of companies originating in this country. 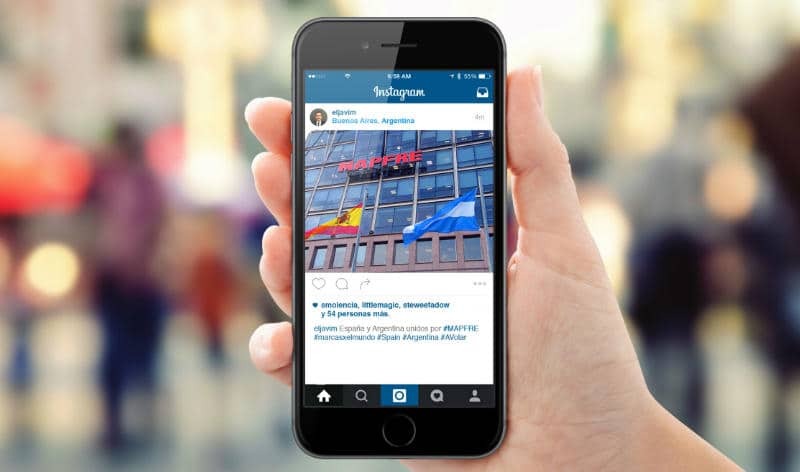 One of the actions in the campaign is a competition which consists of someone in Spain inviting their colleagues overseas to share photos or videos with Spanish brand names in different parts of the world on the www.marcasxelmundo.com website, on Twitter or on Instagram using the hashtag #marcasxelmundo. If the photo wins then both people (the one sending the invitation and the one who takes the photo) will win a return trip to visit each other. 2) The participant has to upload a photo he/she has taken with a Spanish brand name located in a place which must always be outside Spain. (We recommend you try to be creative, set the scene, selfies, etc. It can be a T-shirt with the brand name or any advertising material, a building, an advert… Power to imagination!) The photo can be uploaded to the campaign website www.marcasxelmundo.com or shared on Twitter or Instagram using the hashtag #marcasxelmundo. 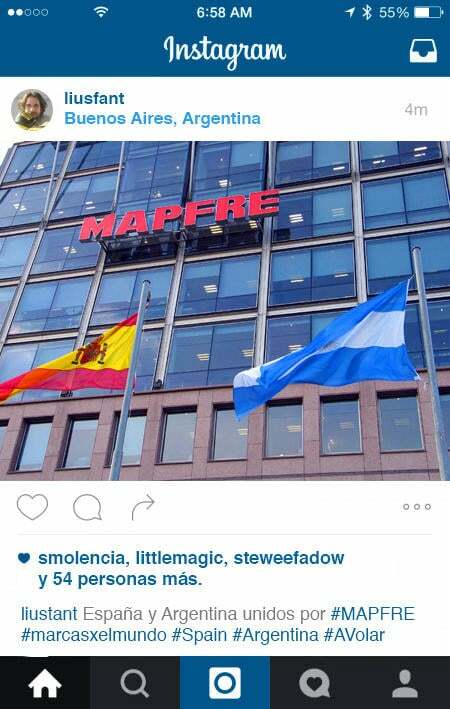 In our case we would be delighted if you could label our account in social networks (@MAPFRE) and add the hashtag #MAPFRE. 3) A jury will select the best three photos at the end of the campaign. The criteria for choosing the winners will be originality, quality, creativity and the prominence of the brand. The jury will award three prizes consisting of “double trips”: 1 return trip for the user who invited the participant + 1 return trip for the participant who uploaded the photo. The initiative has the support of the Office of the High Commissioner for the Brand Name Spain and the Spanish Office for Patents and Brands, and aims to show public opinion a reality which is not always sufficiently appreciated, which is that of the broad international presence enjoyed by Spanish companies and brands. According to the “Atlas of leading Spanish brands”, there are 3,000 companies in Spain with some sort of operation abroad and their international business at this time represents an average of 56.72 percent of total invoicing, reaching more than 53 countries. And what is more, many of our companies occupy positions of global leadership in their respective sectors. 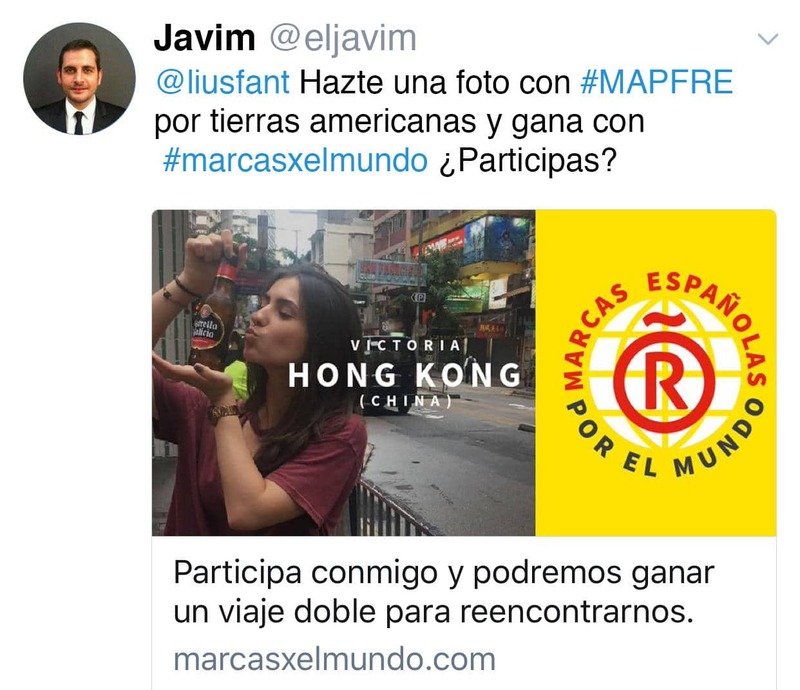 So spare a thought for those friends or colleagues who live or happen to be outside Spain and invite then to this initiative looking for the MAPFRE brand name. So take the photos… and start flying!